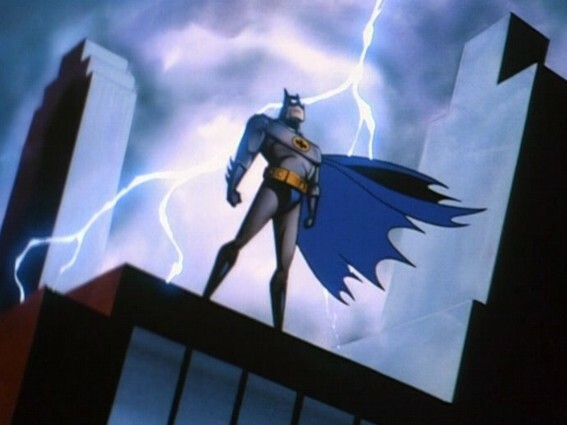 For Christmas I was given the first 2 series of Batman: the Animated Series. That's 20 hours of Batman cartoons. I loved watching this series when I was younger. It was the main thing on Cartoon Network that wasn't all brightly coloured and wacky (well the Joker was, but you really weren't supposed to identity with him). It felt more grown up and intriguing than the other cartoons. I remember that a lot of the episodes had plots that felt serious, but were still entertaining. Looking back it amazes me that they weren't much more than 20 minutes long. The series is, for me, the definitive version of Batman. It introduced me to Gotham, and for me the city will always be dark and Gothic and largely art deco. When I think of the Joker it's not Jack Nicholson or Heath Ledger that first comes to mind, it's the pointy-haired Clown Prince of Crime voiced by Mark Hamill. I know more about Batman's rogue gallery than any other big name superhero. As well as being familiar with the reoccurring villains (Joker, Two-Face, Penguin, Poison Ivy, etc.) there were a few of the one-off characters that stick in my mind (like that woman who was stuck in the body of a little girl & the Mad Hatter guy). Watching the DVDs again is an exercise in nostalgia. This theme tune is like an old friend. At least they are until they do an incomprehensible musical experiment, or a truly dreadful cover version, or they split up, or they go on a godawful reality show to boost exposure. So maybe the best rock bands are the ones that don't technically exist. They aren't trying to get your money, they probably won't create any real life controversy, and best of all they have the potential to be and do just about anything. Plus it's very easy to ignore anything they've done that you don't like. Here are 5 of my favourite bands that don't technically exist. Probably the most extant band on this list as they do have physical form and participate in actual performances. 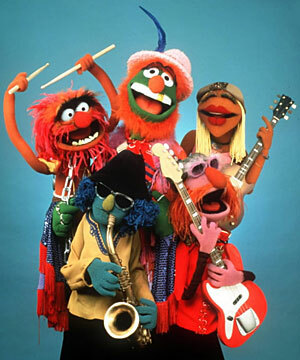 As the house band on the Muppet Show they are also the longest-running and most successful band listed. In this role they have played back-up to a variety of real celebrities. The Muppet Show & various Muppet films. In the late nineties/early... um, are we really still calling that decade the noughties? Cos it sounds pretty silly, and it'll only sound worse by the time we're in the twenties. Anyway, there was this great cartoon about an alternative (but not very alternative) girl called Daria. I may have identified with it fairly heavily. Mystik Spiral were a grunge rock, garage band fronted by slacker Trent Lane, whose sister Jane was Daria's best friend The band were portrayed fairly negatively in the show and certainly didn't seem to be on the road to either commercial or musical success. Despite being useless at actually doing stuff, they did manage to get various gigs. The most successful band on the Discworld met in the waiting room of the Musicians Guild of Anhk Morpork. When Imp Y Celyn (who later changed his name to Buddy) needed a new instrument the group went to one of those Little Shops and Buddy found both a guitar and a literally enthralling new sound, Music With Rocks In. Managed by CMOT Dibbler the band caused Music With Rocks In Fever to sweep Anhk Morpork and the other cities of the Plains, causing young people and wizards to do strange dances and wear leather robes with studs in. Soon the band were so big they had to run for their lives from mobs of screaming fans and angry cheese aficionados (Buddy claimed they were bigger than cheeses). Glod - horn "I can blow anything, me." Discworld, specifically Soul Music the novel and animated TV series. 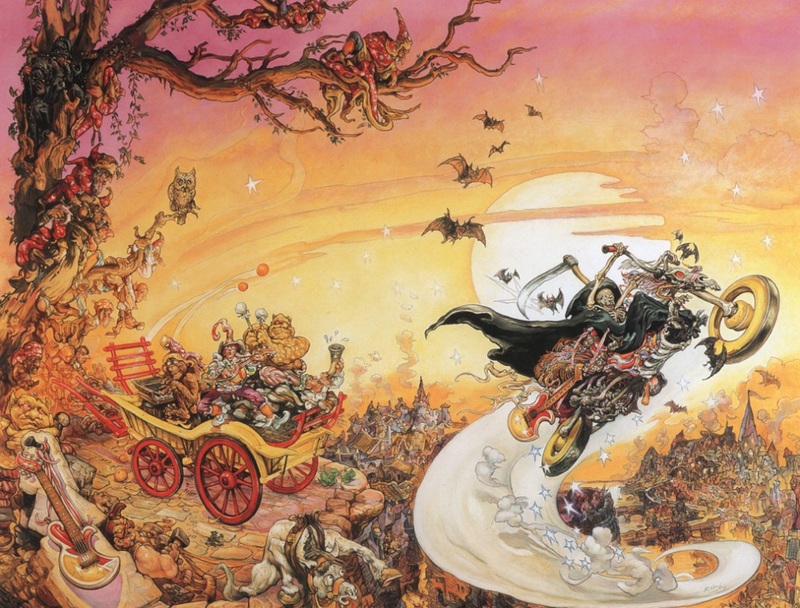 The music of Wyld Stallyns will be incredibly important in just under seven centuries, when it will form the basis of a utopian society, which has also developed time travel. Of course to our unenlightened viewpoint it sounds like the amateurish but enthusiastic strummings of a couple of young slackers. We will just have to trust Rufus (who does come from the future) when he says they get better. The band was formed by degenerate slackers and werewolf twins Butix (Beauty) and Delix (Delicious) who aspire to rock stardom, but never got anywhere with it due to laziness, alcoholism and crippling stage fright. When their relentless, efficient cousin Dominil is tasked with helping them (in order to secure their votes for Clan politicking) the band not only starts practicing but actually get some gigs and publicity, despite many arguments. 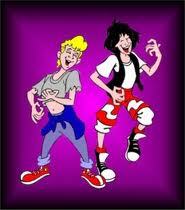 The band name was suggested by Dominil, based on exclamations the twins made when gorging on chocolate. Their biggest fan is probably Agrivex, an enthusiastic, teenage fire elemental from a neighbouring dimension. My thanks to @martinmillar1 for tweeting a full list of the band members. Anne Lister is a fascinating figure. Born in 1791 she was a single woman who inherited a house & modest estate near Halifax in Yorkshire. 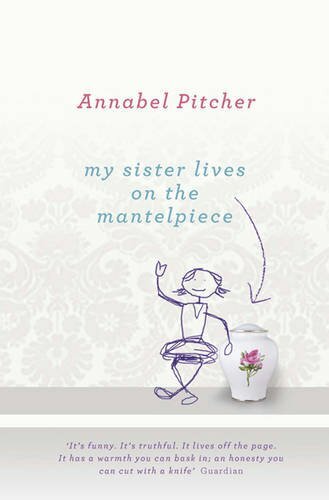 She kept a detailed journal for most of her life, recording her thoughts, feelings and all that happened in both her public and private life. Anne's diary is intriguing because large sections were written in a secret code that she referred to as 'crypt hand' and for a long time the contents of these passages were kept secret. These sections contained details of Anne's various relationships with other women. Her diaries were not only an account of life in the Regency period, but gave details of a rarely glimpsed world of lesbianism. 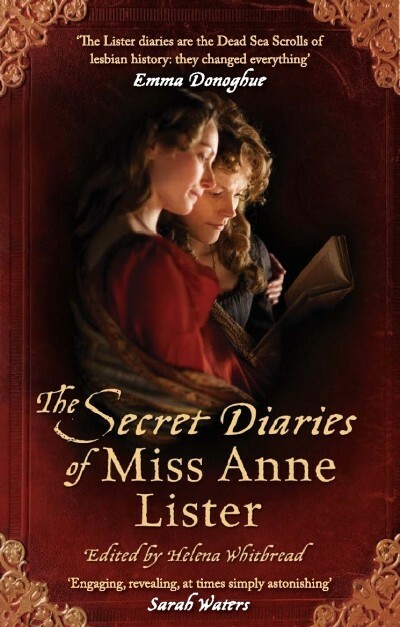 This book collects Anne's diaries from 1816 to 1824. During this time she lived at Shibden Hall with her unmarried aunt and uncle. Anne had a few lovers, and more infatuations, during this period. The main one was a woman who had married an older man for the security he provided, but still kept up a relationship with Anne and promised that they would be together when her husband died. It is clear that this arrangement caused Anne a lot of insecurity and unhappiness. Anne was an independent sort of woman, in a time when such independence was unusual for women. She had clearly decided that she would never marry or be involved with men, but she did long for a partner and companion to share her life with. She was a woman who valued education and as well as learning languages and attending lectures she was an avid reader. At times I found it hard to identify with Anne, a woman who held such different values and lived such a different life to my own. However there were times when her feelings are expressed so strongly it is difficult not to empathise with her. The passage that struck me most was where she described how writing her journal and reading books relieves her worries. "O books! books! I owe you much. Ye are my spirit's oil without which, its own friction against itself would wear it out." This is a sentiment I can very much agree with, even if I wouldn't put it that way. I can very much understand the value of these diaries to Regency history, women's history and lesbian history. I have no particular interest in Regency England and know only bits and pieces about the period, but that didn't cause me much of a problem as this is someone writing about their life rather than their times, and the explanatory notes provided by the editor are helpful without being intrusive. 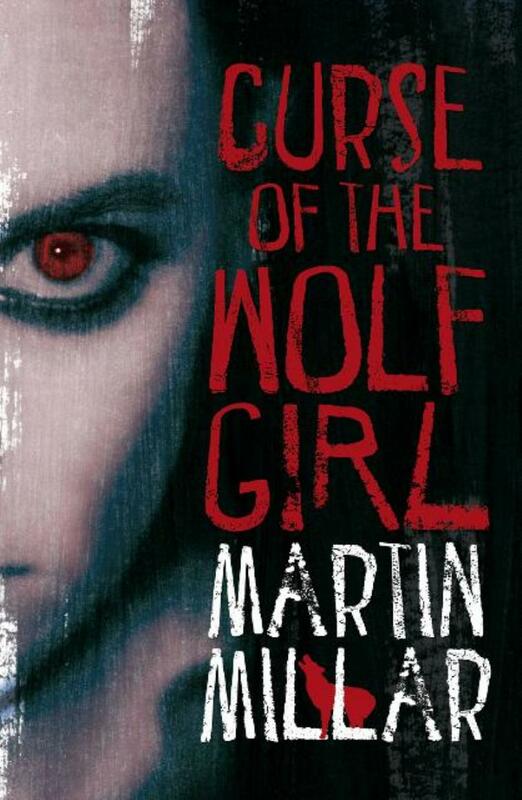 Being a fan of the Brenda & Effie series I was interested to see what Paul Magrs newest book would be like. It's not a part of that series, but sounded like it covered similar themes. The strength of the story is in the characters. They're mostly ordinary (or seemingly ordinary) people with mundane concerns who encounter the occult and must deal with it as best they can. Shelley and Jack are regular New Yorkers who get dragged into demonic business by their boyfriends. Liza appears to be an eccentric old bibliophile, but she knows more about spooky stuff than she lets one, not that this stops her from making some pretty catastrophic mistakes. Even the antagonist Daniel can be understood to an extent, thought he's not particularly likeable even before he gets possessed. The writing style felt very similar to the later Brenda and Effie books. It's an informal style that has a lot of the characters thoughts and preoccupations laid out on the page. It means that you always know what emotional state the viewpoint character is in and feel close to them quite quickly, even if you don't agree with them. Some of the writing feels like it's telling rather than showing (which is generally a cardinal sin for a writer) but the way the points of view are done means that though you are being told one thing, you are also being shown something else. 666 Charing Cross Road is definitely more of a horror story than the Whitby-based books. The plot features a single major threat and plays out across a few months, with the character's lives being increasingly taken over (and lost) to the danger. In this way it felt more like a film than the more playful, complex Brenda and Effie series, which at times has the feel of an sketch show. 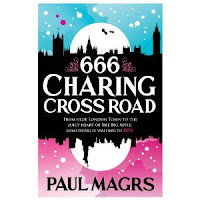 I enjoyed 666 Charing Cross Road and I'm keen to read more about these characters if further titles come out, though at the moment I still prefer Brenda and Effie. We finally alphabetised our book shelves properly. As we're both library workers we probably should have done it a while ago. This is the clearer picture, though you can't see all of it. This is the biggest room in our house. This is just our fiction, I'd say about 95% of it is Science Fiction and Fantasy. My husband also has two full-sized bookcases of RPG books as well, they're off to the right of this picture. If we're ever rich we'll probably have floor and ceiling shelves installed, possibly with ladders on wheels. Though if we really were rich we could probably buy a bigger house that already had such a room. This teenage book is powerful and engaging. I found myself utterly absorbed. I meant to read part of it during advert breaks, but I stopped paying attention to the television and finished the book instead. It's told from the viewpoint of Jamie, a 10 year old whose older sister was killed in a terrorist attack 5 years earlier. Jamie's family are still suffering from bereavement, and he has grown up in an unhealthy environment. Although he doesn't really remember Rose (he was only 5 when she died) his parents expect him to share the family's grief and feel as strongly about her as he does about his surviving sister, Jasmine. The children are moved out of London by their alcoholic father after their mother leaves. However the move doesn't bring on the fresh start they need. Jamie's viewpoint is one of innocence and ignorance, emotionally engaging and powerful. He doesn't know much better than his upbringing, and it's heartbreaking to see his misplaced optimism crushed. 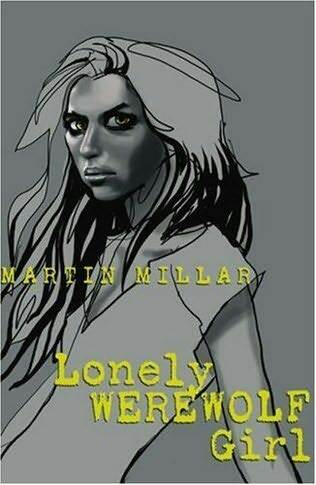 Jamie is clearly a loner and a bit odd, but though the reader knows this we cannot help but see things his way. The issue of racism against Muslims is a major part of the story (Rose was killed in a terrorist attack) as Jamie befriends the only Muslim girl in his new school and is terrified of his father's reaction. I found myself tensing up as the inevitable confrontation loomed. 2011 has been a good year over all. Some nice highs and very few bad lows. Attending Conventions - Me and my husband went to Easter Con and Fantasy Con, and in between those I went to Alt.Fiction. I had fun, met interesting people and got to spend time in a world that I would like to be more involved with. My goal when going to conventions in future is to try and push myself forward a bit more and meet/chat to more people. First Publication - My short story Lupa di Roma was published in Title Goes Here Magazine, Web Edition 1.10 - October 2011. This made me very happy and proud. I have had another short story acceptance, there will be more about that later. Twitter - After recommendations from a few different sources I decided to take the plunge and start using Twitter. I've had some great conversations and met (in a virtual sense at least) a lot of lovely people on Twitter. I can be found on Twitter as @ctjhill. Apocalypse Girls - A few months ago I was invited to join The Girls' Guide to Surviving the Apocalypse. It's a fun blogging project about anything and everything to do with the apocalypse. Some great, creative women are contributing and I heartily recommend you check it out. We're also on Twitter as @ApocalypseGirls. I'm hoping I can build on these successes this year. Plus I'm planning a few changes in my offline life, so I hope those go well.